선릉은 9대 성종과 부인 정현왕후의 무덤이다. 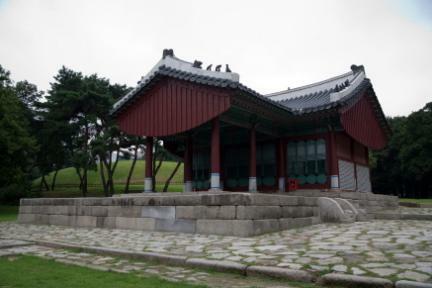 성종은 유교사상을 정착하여 왕도정치를 실현하고자 사림을 성장시켜 훈구세력을 견제하고, 정치기반을 조성함으로써 조선 초기의 전반적인 체제를 안정시켰다. 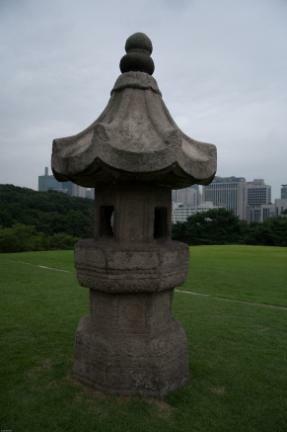 선릉은 왕릉과 비릉이 각각 다른 산등성이에 있는 동원이강의 형식으로 비릉에는 병풍석을 세우지 않았고, 다른 석물들은 왕릉과 같으며 『국조오례의』를 따르고 있다. 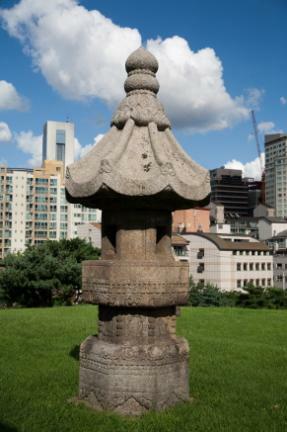 왕릉에는 12면의 병풍석을 세우고 그안에 동물의 머리에 사람의 모습을 한 십이지신상을 새겼다. 난간석은 12칸이며 그 밖에 양석·호석·망주석·문석인 등의 석물이 있다. 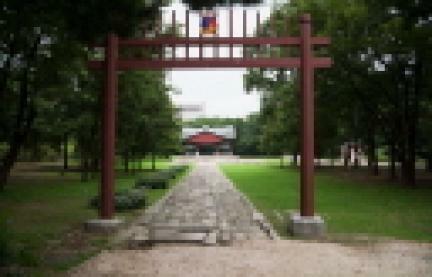 중종은 연산군의 잘못된 정치를 바로 잡기위해 노력하였으나, 개혁파와 공신파의 정치적 논쟁이 끊이지 않아 조정이 안정되지 못하였다. 정릉은 원래 중종의 두번째 왕비(제1계비) 장경왕후의 무덤인 희릉의 오른쪽 언덕에 있었으나 세번째 왕비(제2계비)인 문정왕후 윤씨가 풍수지리상 불길하다고 하여 현재의 자리로 옮겼다. 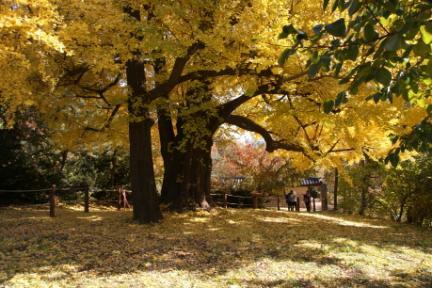 무덤 주변의 석물은 선릉의 석물제도를 본떴다. 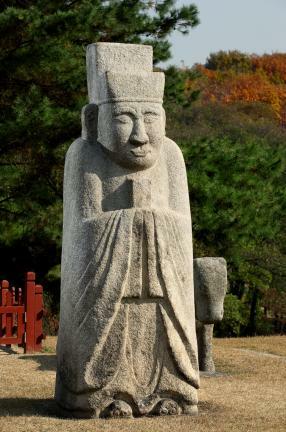 조선왕릉 중 왕만 단독으로 있는 무덤은 후대에 왕릉이 된 단종의 장릉을 제외하고 태조의 건원릉과 중종의 정릉뿐이다. 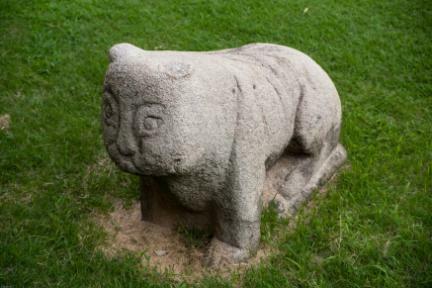 임진왜란 때는 선·정릉의 양릉이 훼손되는 변을 겪게 된다. 재실(齋室)은 양릉의 사이에 있으며, 여름철의 침수를 피하기 위해 층단에 지었는데 이러한 예는 선릉·정릉 뿐이다. 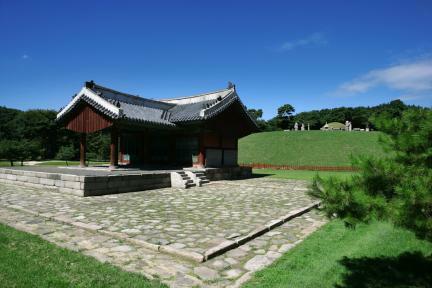 Seolleung is the place where the graves of King Seongjong, the ninth king of Joseon, and his wife, Queen Jeonghyeon, are buried. 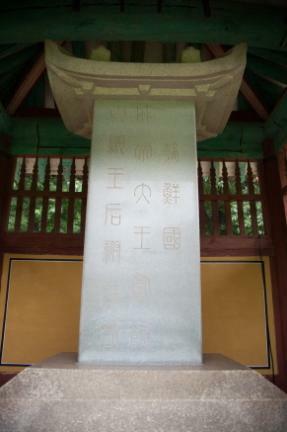 King Seongjong devoted his reign to realizing the ideal politics led by an authoritative king and stabilizing the politics of early Joseon by utilizing Confucianism as well as the academe. 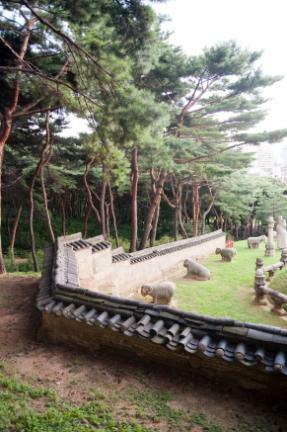 In Seolleung, the king's and queen's tombs are separated, forming different ridges. 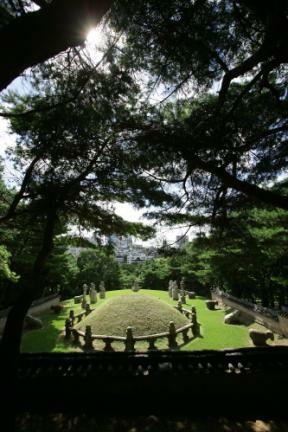 The left ridge, where the queen's grave is placed, does not have a stone screen behind. 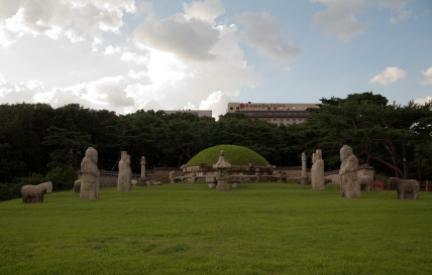 Other stone sculptures are arranged as in the king's tomb according to the book of national ritual guidance. 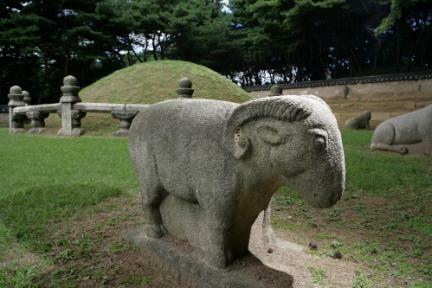 The king's ridge has a twelve-sided stone-screen engraved with the twelve zodiac animal deities in a human body and the stone screen that used to be omitted according to King Sejo's will. 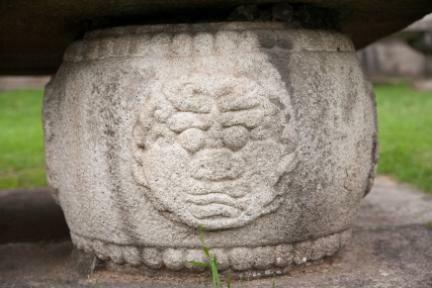 Other stone sculptures such as those of the civil vassals stand outside the balustrade. 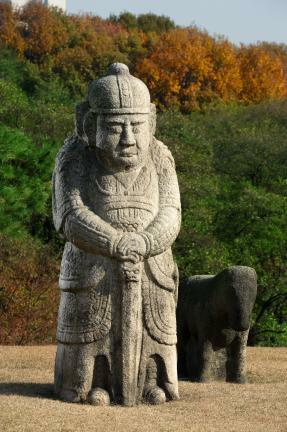 The sculptures of the civil and military vassals look so real in terms of the face but do not have any cubic effect in the body. 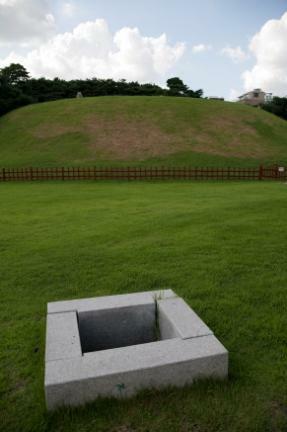 This is Jeongneung where King Jungjong, the eleventh king of Joseon, is buried. 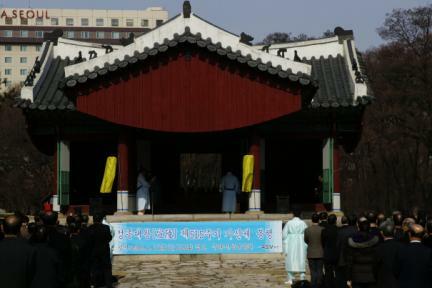 King Jungjong had striven to correct the wrong politics led by Prince Yeonsan but failed following the heated argument between the reformists and the loyalists. 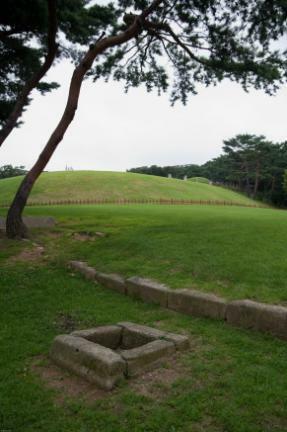 Originally, Jeongneung was located on the right side of the tomb of King Jungjong's wife, Queen Janggyeong, but was moved to its current location at the advice of Queen Munjeong, King Jungjong's wife after Queen Janggyeong, i.e., the original location was inauspicious based on geomancy beliefs. 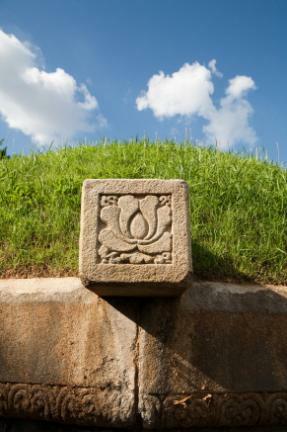 Currently, the tomb is located at a very low-lying ground such that it requires special care during floods. 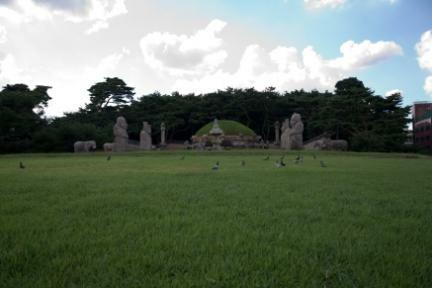 The stone sculptures around the tomb were made after those in Seonneung, the tombs of King Seonjong and his wife. 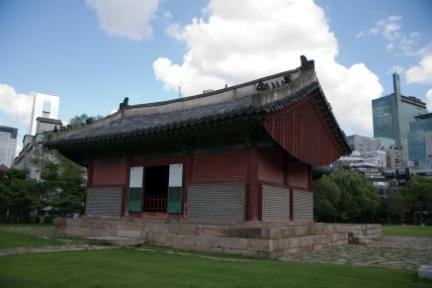 This is one of the three royal tombs where only the king without his wife is placed. 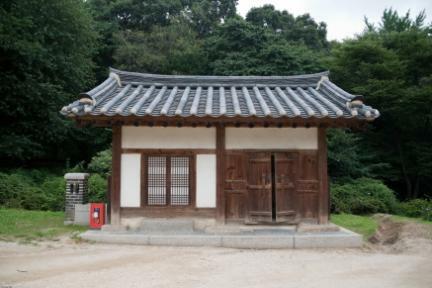 The other two cases are that of King Taejo, the founding father of Joseon, and that of King Danjong, whose tomb was recognized as that of a king after he was unseated and killed. 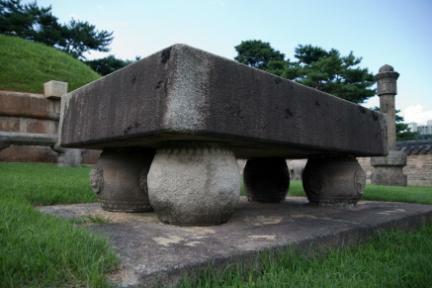 During the Japanese Invasion of Korea in 1592, both tombs, Seolleung and Jeongneung, were severely damaged. The room for memorial service lies between two tombs and layers used for protection from submersion. 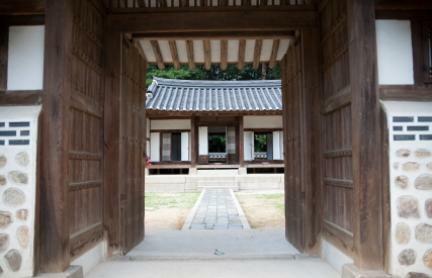 Such structure constitutes one of the distinctive characteristics of Jeongneung and Seonneung. 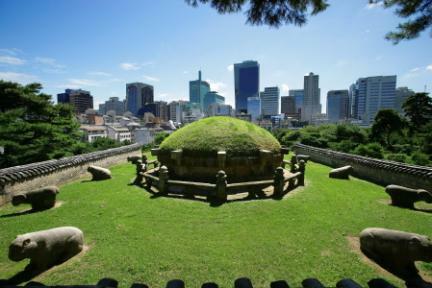 Only related officers were allowed in the area of the royal tomb, but the Japanese colonial rule permitted the commoner to cultivate the low-lying ground and even that between two tombs. 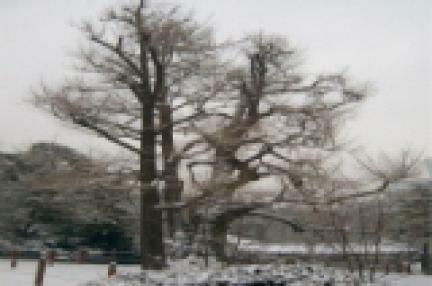 Due to the cultivation, those woods around the tombs were cut off. 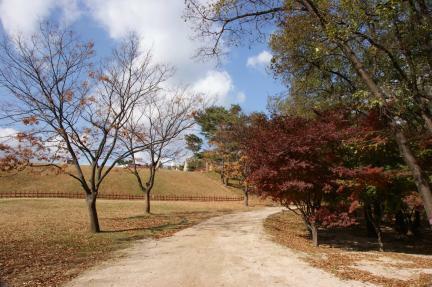 After the Korean War, the cultivation around the area by the commoner was accelerated, and farmland reform by the Korean government classified the area as a private farm. 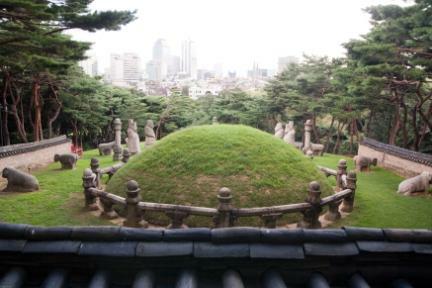 As Seoul started expanding in 1960, the city launched the land readjustment project in the 1970s, accelerating the transformation of the area of the royal tombs as a residential area.